Fifty (50) people, including people from Meharry Medical College, Vanderbilt University, Nashville Software School, Non-profit organizations, and IT companies will join tomorrow to do social innovation projects. 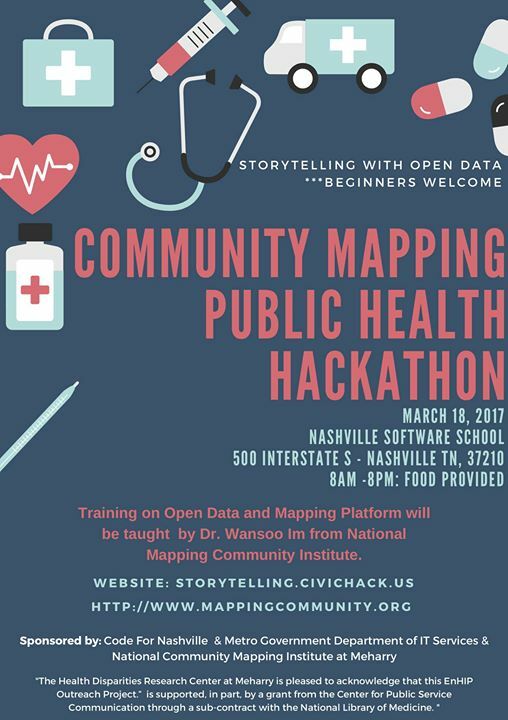 They will identify public health issues in Nashville, and create apps to solve issue by using community participatory mapping. For example, Creswell Middle School students mapped mosquito breeding sites to learn about zika virus a few days ago. Community mapping is about engaging and empowering community members by using mobile mapping technology. Students and parents mapping sidewalk/crosswalk conditions is one great example (http://www.immappler.com/srtsnashville);students’ mapping of mosquito breeding sites is another (http://www.immappler.com/zikamapping). 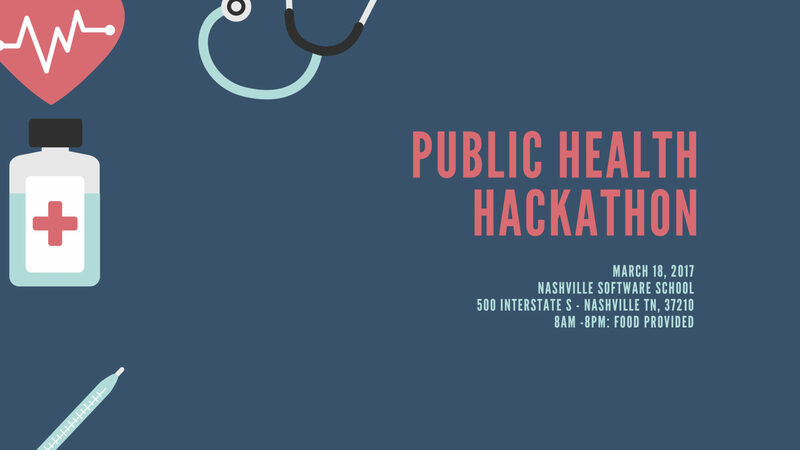 The Public Health Hackathon on March 18th is an all-day event (8a-8p). Organizers provide publicly available data and tools, and participants and participating teams can create an interactive mapping application over the course of the day. Each participant or team must bring a computer. You’ll also learn how to create an app – and you don’t need to know any programming to make it. Seasoned developers will have access to tools to make a sophisticated app. The Hackathon is a perfect opportunity for any non-profit community organization to create an app to benefit its community. Code and programming students can show off their skills, and create a project to share. Coders, programmers and developers know that Hackathons are a great way to work with other people and to help a specific or broader Metro communities. Public Health students can learn new technology skills, and contribute your professional knowledge to an applied problem with a team of like-minded individuals. Public health professionals – do you have an awesome idea for public health related community mapping? You can make your dream come true! Education and Training will be provided by Dr. Wansoo Im, an Associate Professor at Family and Community Medicine at Meharry Medical College. He is a director at National Community Mapping Institute. He developed Mappler Platform for community mapping, which is being used internationally. "The Health Disparities Research Center at Meharry is pleased to acknowledge that this EnHIP Outreach Project." is supported, in part, by a grant from the Center for Public Service Communication through a sub-contract with the National Library of Medicine." If you have any questions, please contact Wansoo Im, Ph.D. wim at mmc.edu.